Author of THE BLANKET HILL INSURGENCY and BREAKING LIBERATOR’S SHACKLES, Terry L. Wilson is a novelist of inspirational, historical and literary fiction. His process of storytelling places characters into the fabric of significant conflict. He concentrates on each character’s experiences and emotions interfaced with the cultural conditions causing conflict. A Vietnam era veteran and retired architect who practiced throughout Ohio, in Philadelphia and in Baltimore, Terry now resides with his wife in McCormick County, South Carolina. Experiencing five years (1965 through 1970) of significant change in our nation’s culture led to my inspiration to write. The post Second World War patriotic society and its culture slowly eroded and exploded into a clash with an emerging culture that would change America and the world forever. During this time I was a student at Kent State University for two years followed by nearly three years in the U.S. Army. Free time as a soldier found me writing fiction including a few short stories and a first draft of a novel of Young Adult contemporary fiction genre. The subject matter was about entering adulthood at a fictitious university and in the war in Vietnam. I returned from the Army to Kent State in the spring of 1970 and witnessed the events of May 1 through May 4 when four students were shot and killed by National Guardsmen during protests of the invasion of Cambodia. I knew then, I needed to rewrite my novel changing the fictitious university to Kent State and incorporate the turmoil I witnessed into the story. I graduated from Kent and became an architect, and I had a fast-pace and hectic schedule until retiring. My fiction writing was put on hold. Upon retirement, I retrieved my old manuscript, researched, rewrote and published my first novel. One could say it took me forty-six years to write my first novel, THE BLANKET HILL INSURGENCY. Once I published my first novel, I decided for my second novel I would honor my uncle who had been my childhood hero. During the Second World War he endured seventeen months as a Japanese Prisoner of War in Burma. He never talked about his experiences, and when asked about it he would say, “Change the subject and don’t ever ask me about it again.” Research for this novel was difficult, but it fell together. I even found a video of a Japanese Army Newsreel that showed him and his bomber crew as they were captured by the Japanese Army. Because of how my uncle had been an inspiration to me as a child, I decided my second book, BREAKING LIBERATOR’S SHACKLES, would be written as an inspirational novel. Currently I am swamped in research for my next novel, and I hope to complete it soon. For the good of my sanity I need to start writing again. The process I use to create a novel has evolved from no set process to what I consider a bit unique. When I first started writing, I knew the story I wanted to tell, and I would begin at the beginning trudging forward. This required substantial rewrites of earlier parts of the novel to properly set the scenes for what would develop as additional pages emerged. Currently I use a different approach. Following my determining the story I wish to tell, I concentrate my writing on what used to be the last task. I start with a tentative pitch… a blurb… a very short presentation of what the reader will be able to expect while reading my novel. The reason I start here is twofold. First: the completed pitch helps to keep my storytelling focused. Second: the writing of a pitch once a novel is completed is almost as difficult to write as a complete novel. It becomes a Herculean task to present in about one hundred words something doing justice to thousands of words. The next task, rather than starting with the first chapter, I write the final chapter. This is what all other chapters lead to, and if the end of the story is going to be successful, all preceding writing must properly set up the ending. With the end focused, I next write the first draft of all earlier chapters. I have found this method eliminates writers’ block. I already know where the story must go, and the only nonproductive time I have is when I feel like being lazy. Once the first draft is complete, the story is complete, but the book is a long way from being ready to publish. My next task I consider the most important. I focus on making certain I produce a page turner. I want every reader to become engrossed with the story and characters. Every line of the draft becomes a target for a rewrite as I ask myself many questions. Am I showing the story or telling it? If I’m telling it, there is a problem. Description of settings must be told with action. For an example rather than “a cold wind blew” the rewrite would state “he raised the collar of the jacket shielding the cold bite of the wind.” Are my characters believable and capable of evoking reader empathy? My desire is to let the reader understand them, their actions and care for them… even the antagonist(s) I create. Do I show the story through human senses? I focus on character thoughts and what they see, smell, hear and feel (like my earlier comment about the wind). For fiction writers: Do I listen or talk with my characters? I am a firm believer the characters of any story are key to the quality of a novel. Each character, including antagonists, need to be developed in a fashion the reader can understand and find empathy for. In my mind, every person who appears in the story has a past that has shaped him or her. The environment that made them who they are; their motivations, quests and insecurities; relationships with others… these all are crucial for me to understand my characters. Without this understanding, the story I write would never succeed. Once I have a clear picture for these people, my goal is to show the reader insight into why each character takes the actions they do on the pages of my novels. I’m a strong proponent in delving into each character’s thoughts and senses. What do they hear and their interpretation of what they heard? What do they see, and as important, what do they fail to see? What do they smell and taste and the effect on the characters? And, of course, what do the characters feel both physically and emotionally. So, I guess I do have conversations with my characters as I write. My first recommendation to aspiring authors is to read as much as you can. As you read, ask yourself what makes the story good or poor? I have read thousands of works over the last half century, but the ones that have impacted me the most, and my writing, have been older works such as THE CITADEL by A.J. Cronin, ARUNDEL by Kenneth Roberts and TIME AND AGAIN by Jack Finney. Each of these authors is an exceptional story teller who mastered the art of exceptional character development. My assumption is every author writes because they want their novel to be read. Finding readers is not easy, and reader reviews have become necessary to provide exposure to other readers. There are many readers who do not read every word. They skim read, and will write and post a review for what they have skim read. Because of this, I believe it is critical to provide important elements of the story at multiple locations in the text of the book. This provides a better opportunity for the skim reader to latch on to what is important and possibly write a better review. How did you decided to publish your books? My decision to publish as an Indie Author through CreateSpace was made because of my impatience. As a senior citizen, even though my first novel took forty-six years to write, I wanted it published immediately while I am still around. I discovered the ease of doing so through the CreateSpace platform. It was a natural to publish my second novel in the same format ten months later. I am not against publishing through traditional publishing houses, and if offered the right opportunity, I would do so. I have always enjoyed reading print copies of books, and I believe many of my generation also do. Newer generations are more attuned to the digital world, and many of my generation are now reading on digital devices. It appears the digital world may someday all but eliminate print copies of books. I hope it is not the case. What do you use? Beta readers. What Genres do you write? Historical, inspirational and military fiction. A wonderful start to the New Year: At 8:00 AM today BREAKING LIBERATOR’S SHACKLES has returned to the Kindle eBook Best Sellers List at number 38 for Literature & Fiction> Historical Fiction> Japanese. This is the fourth time the novel has appeared on the list (achieved number 16 about a year ago), but it is the first time it has made the list without a discounted price special being held. 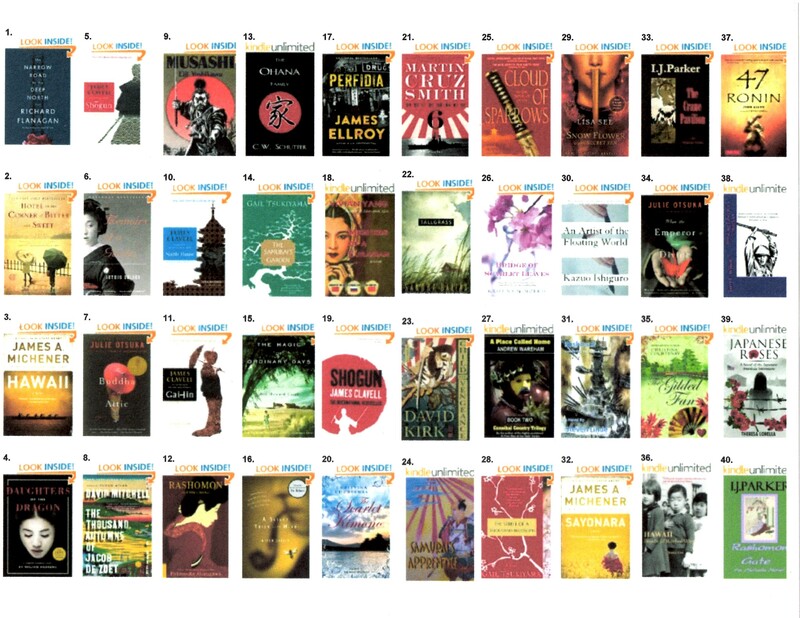 Kindle changes the list on an hourly basis. If anyone has planned on getting a copy, now would be appreciated. Each copy will help to move it up on the list, and it is now available at http://Amazon.Com/dp/B019XYOR8Y for $3.99. Many readers have been enjoying either the standard paperback or Kindle versions of the inspirational historical novel, BREAKING LIBERATOR’S SHACKLES . For readers with eyes that have aged who do not have access to a Kindle, a Large Print Version has just been released. It is immediately available through CreateSpace Direct and will also be available through Amazon within a day or two (as soon as Amazon completes its setup). After getting into the roots of this story, it’s obvious that the author’s foreword about the missions and POW events of the fictionalized American crew of this WWII B-24 Liberator are probably spot on. The horrors of their experience are chilling. This is a must read for war history buffs but also an important read for those who have not read any of the contemporary war novels. It’s eye-opening to know what some Americans go through when they serve their country. The story is ‘told’ by the freed, older veteran to his son going off to serve in the Vietnam War. It serves as the catalyst method to tell the story but sometimes the son’s dialogue/questions are somewhat stilted. That being said, the book still deserves 5 stars … for anyone should be fully impacted by the sorrowful experience these men went through.